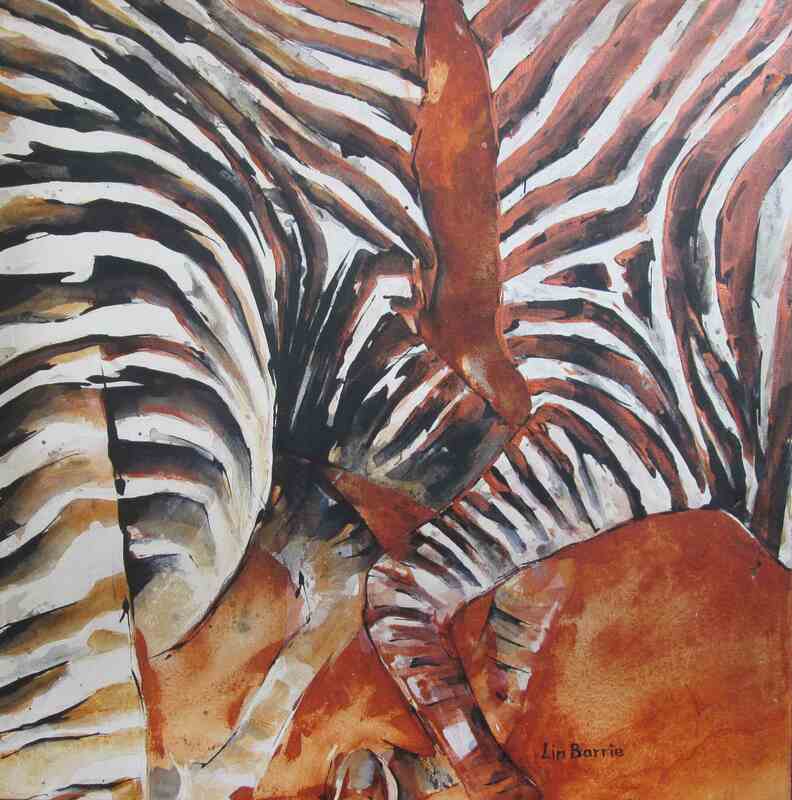 My artworks, photographed below, are available for sale. Please bear with me if I do not answer queries immediately, since Clive and I often travel in wilderness areas, away from easy internet access. 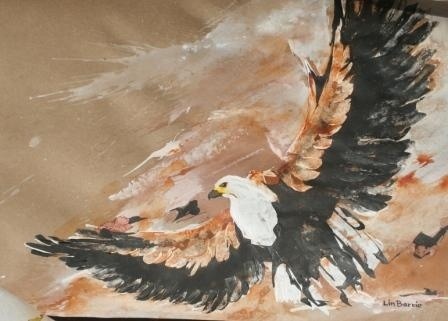 This has its advantages, since I am inspired by travel, wilderness and culture, so I paint intensively while I am out of email contact! 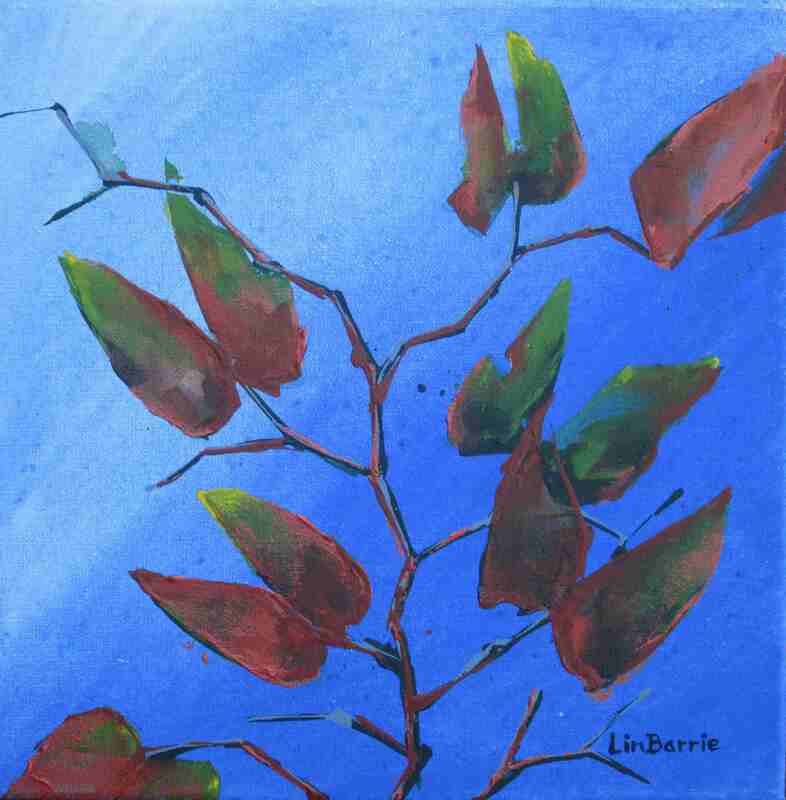 NOW -for some photos of my available art…please do scroll down! Blue waterlilies, acrylic on stretched canvas, 2 x 3 feet…. 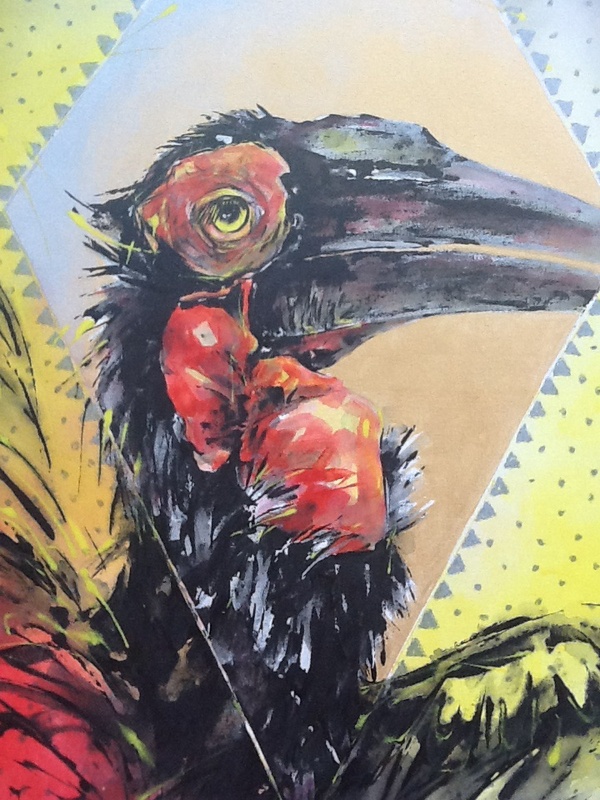 Hornbills I, acrylic on loose canvas, 104 x 179 cm…. Going Places 1, mixed media on stretched canvas, 3 x 4 feet…..
Full moon baobab 1, acrylic on deep stretched canvas, 35 x 46 cm…. 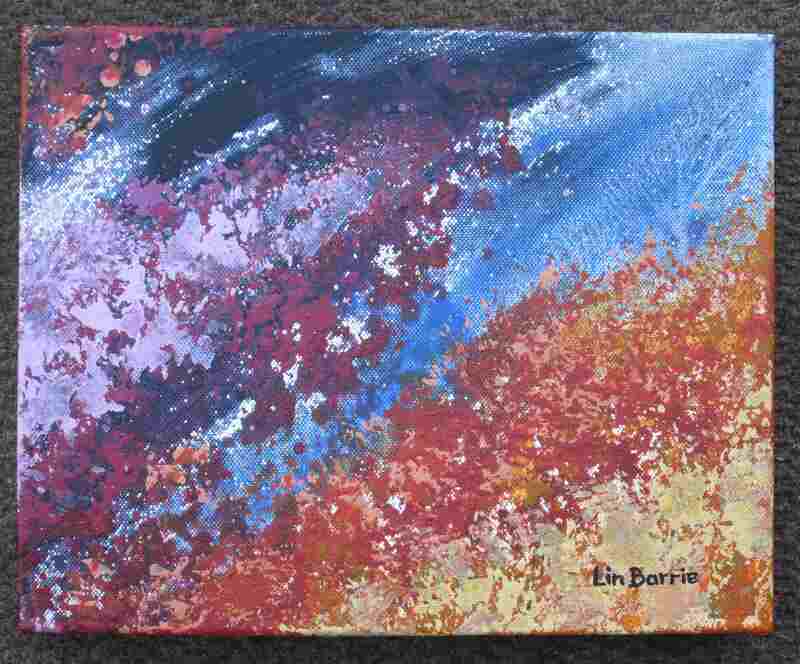 Full moon baobab 2, acrylic on deep stretched canvas, 35 x 46 cm….. 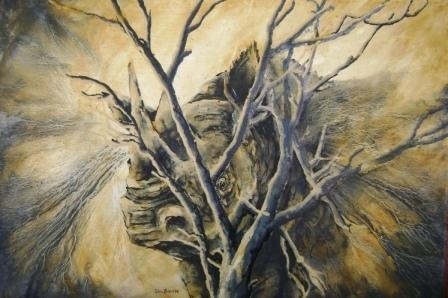 Here is one of my Series of MaChangana Hut Paintings..oil on canvas . 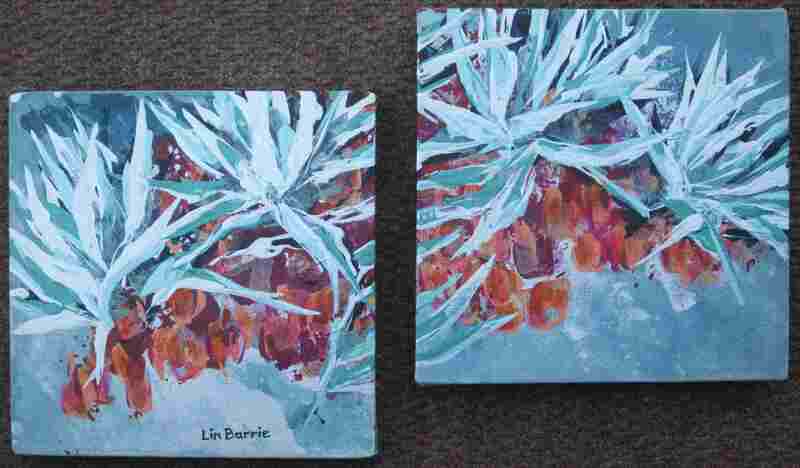 Below are my paintings of some of the glorious indigenous palms of Zimbabwe, common along our large rivers such as the Zambezi and the Save…. 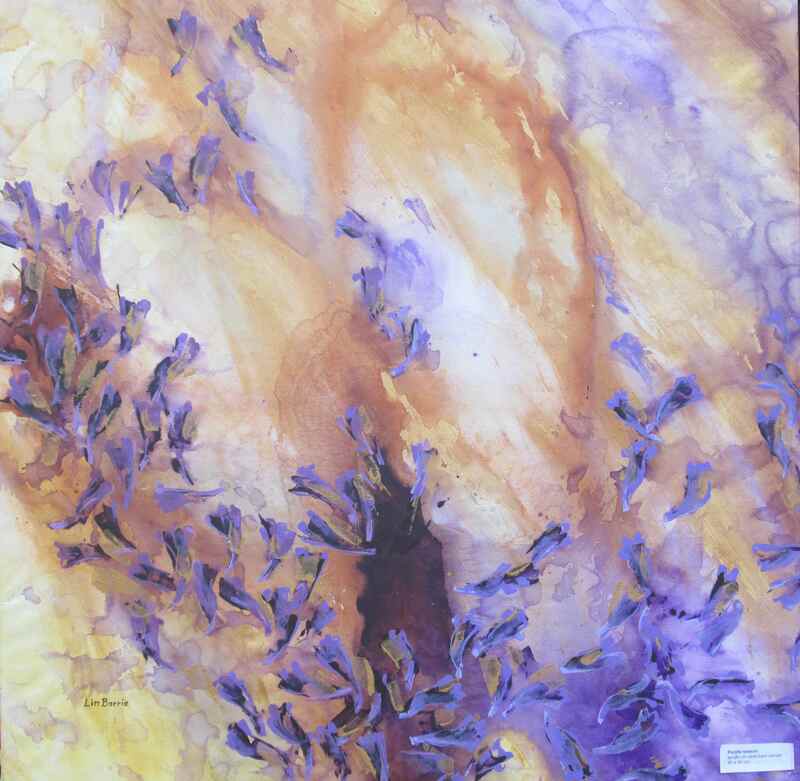 Lala palm sunset, acrylic on loose canvas, 103 x 180 cm…..
Phoenix reclinata at Chilo Gorge, acrylic on loose canvas , 82 x 82 cm…. Pink waterlilies I and II, acrylic on stretched canvas, each panel 2 x 2 feet, and here they are against the gorgeous Borrowdale Brooke dam that inspired me…. 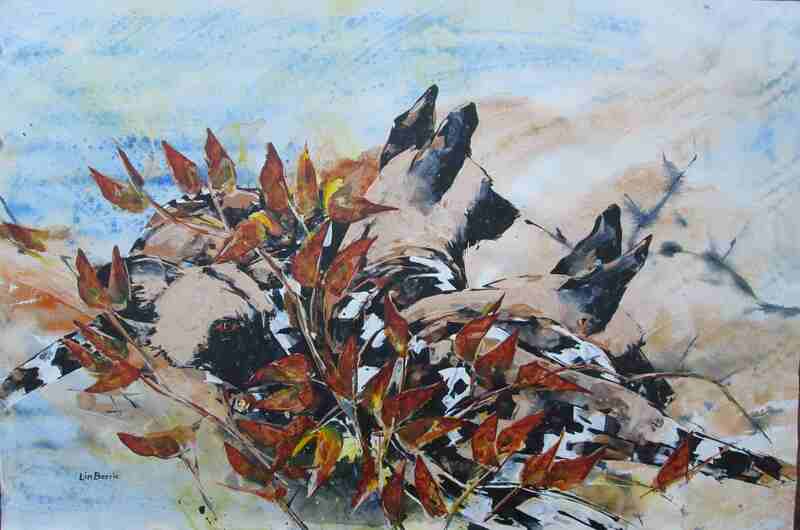 Field sketches are vital to my art, immediate and powerful, and then I can work them up into bigger canvases…these were yearlings that I watched playing at the den…. 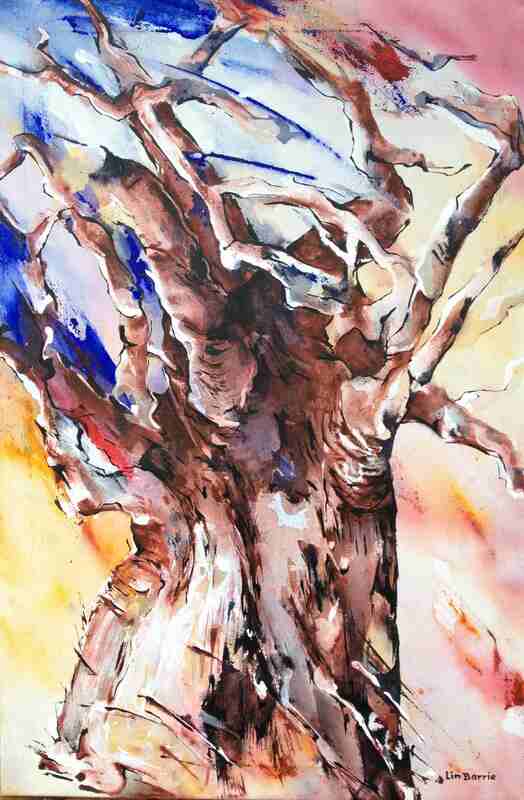 Yearlings, acrylic wash, approx 40 x 60 cm, with larger hardwood frame..
“That lonely thorn tree“, oil on stretched canvas, 61 x 91 cm…. 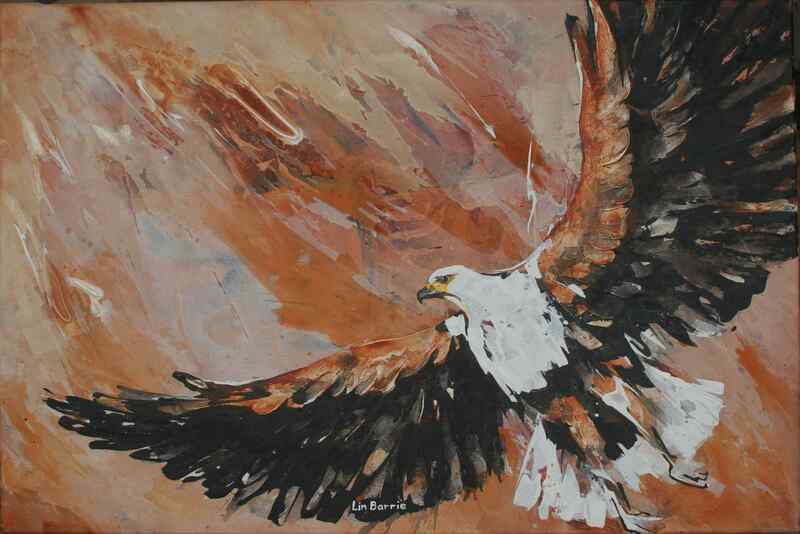 Umboza, (fish eagle), acrylic on craft paper, 18 x 25 inches…. 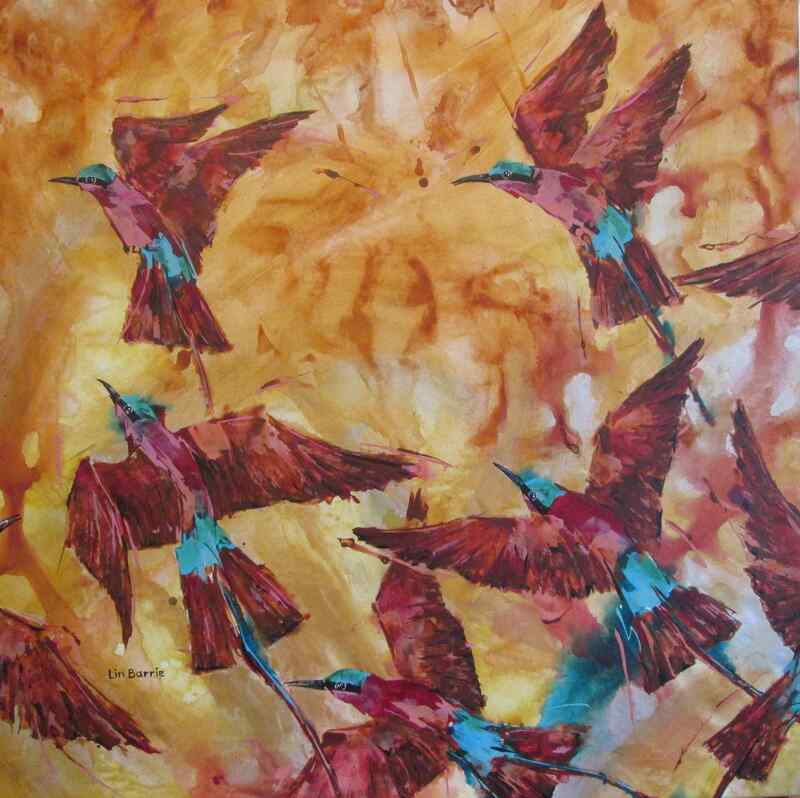 Carmine bee eaters are migrants to Zimbabwe, gorgeous birds, we welcome them….. 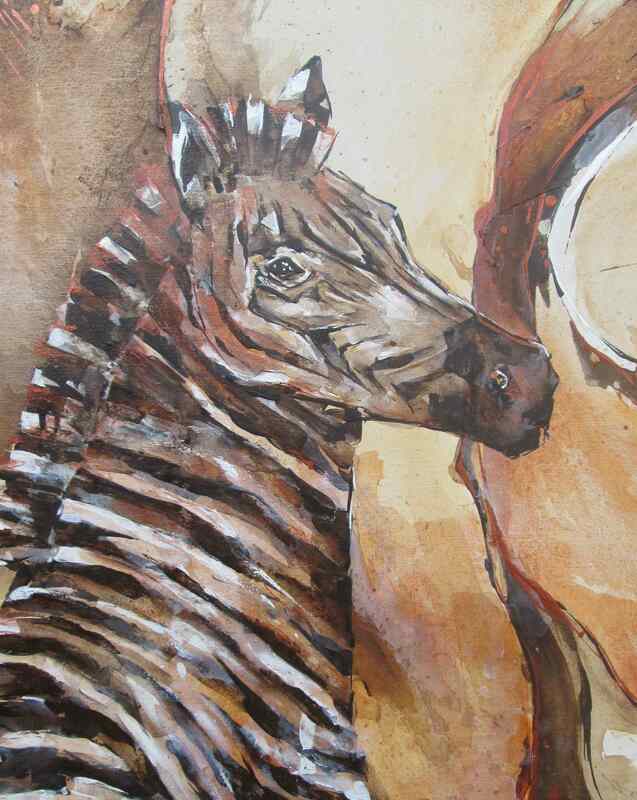 Here is a mixed media installation called “Zebra Totem…. 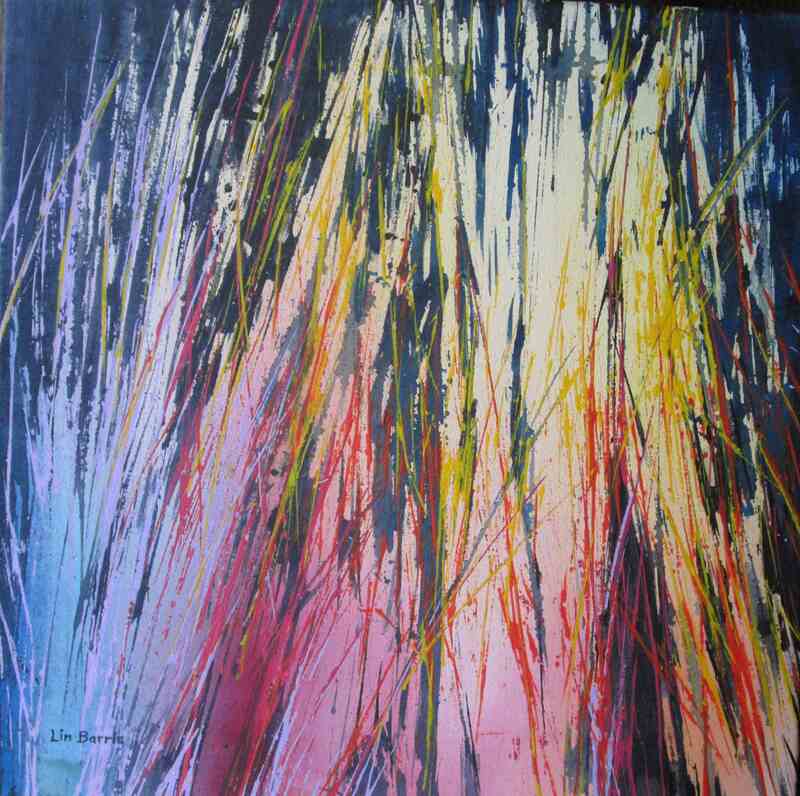 Sunset Grass, acrylic on stretched canvas, 40 x 40 cm…..(I do love bollywood colours-pink and orange, lilac and yellow)….! 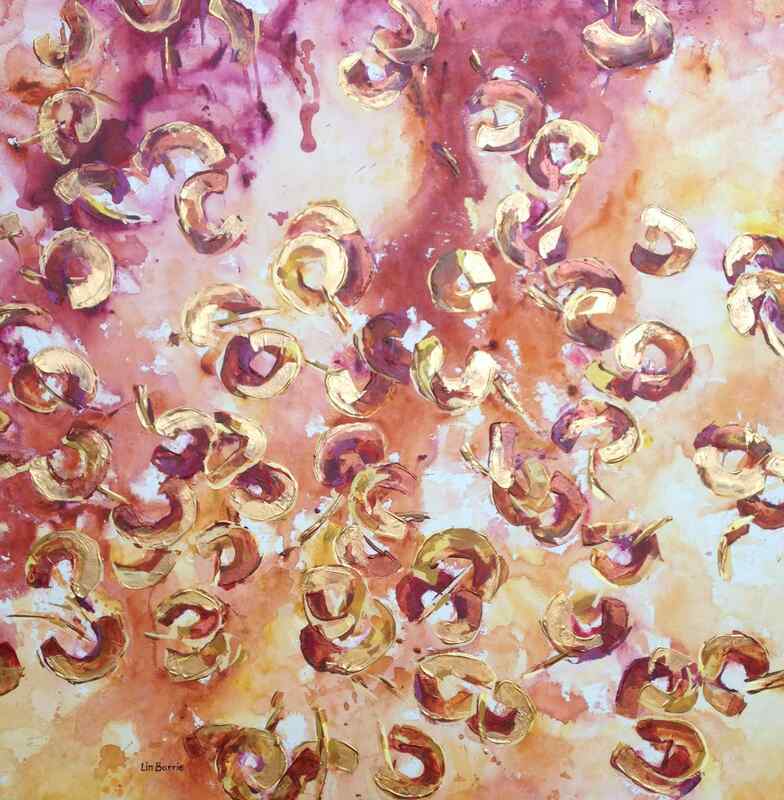 Dune Delight, Acrylic on loose canvas, 77 x 208 cm using glowing metallic gold highlights in the grass…. 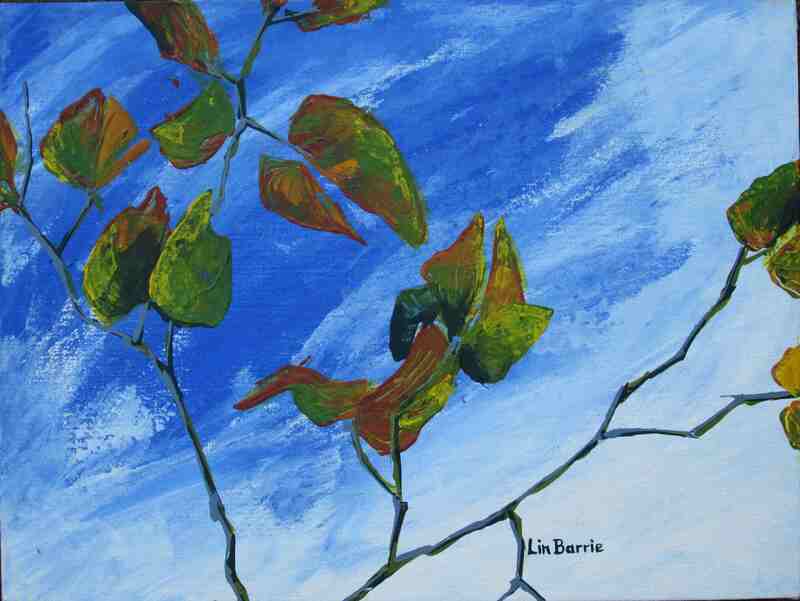 Mopani Sky, acrylic on stretched canvas, 31 x 31 cm…. 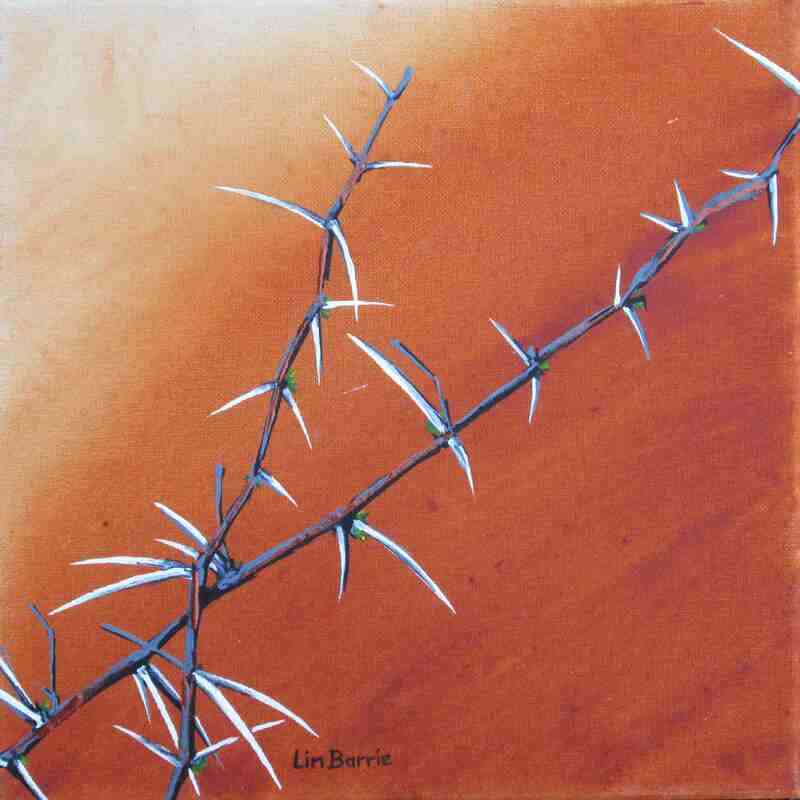 and the glow of acacia thorns against the late afternoon sky as I drive back home from the Nyarushanga Pack Den…. 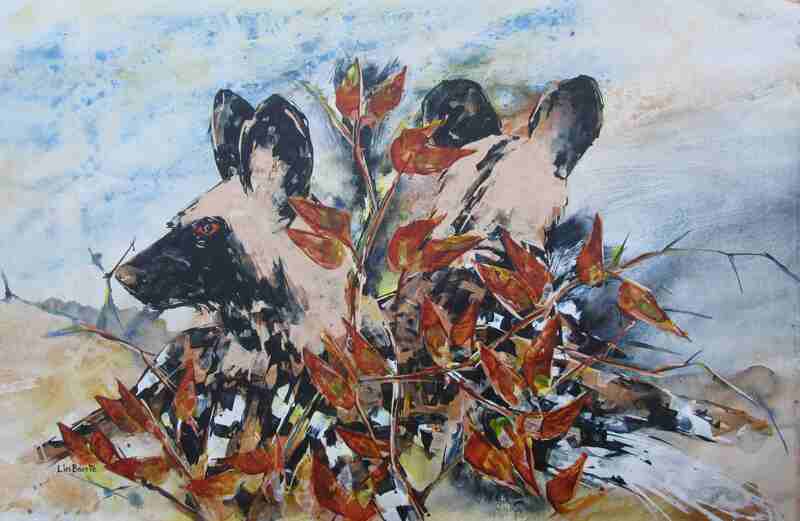 Mopani Leaves are fabulous painting subjects.. 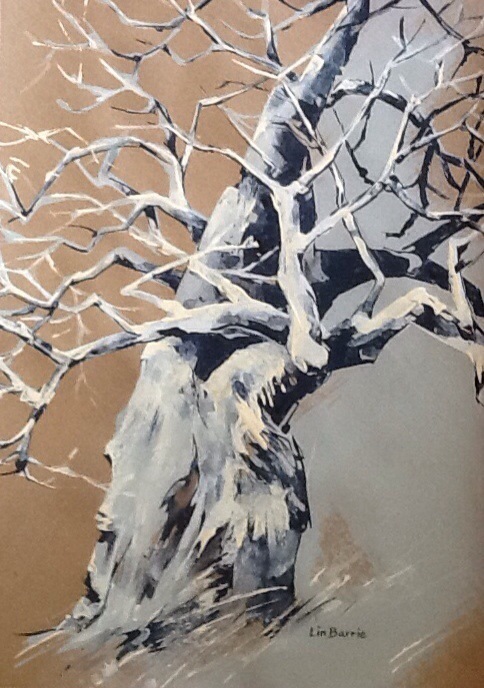 The silver glow of Terminalia sericea leaves in Gonarezhou Park throughout the dry season have always inspired me…. Now!….on to Msasas……fond memories of their rusts, pinks and golds, as winter gives way to spring in the highveld of Zimbabwe…..A real Colour Burst! 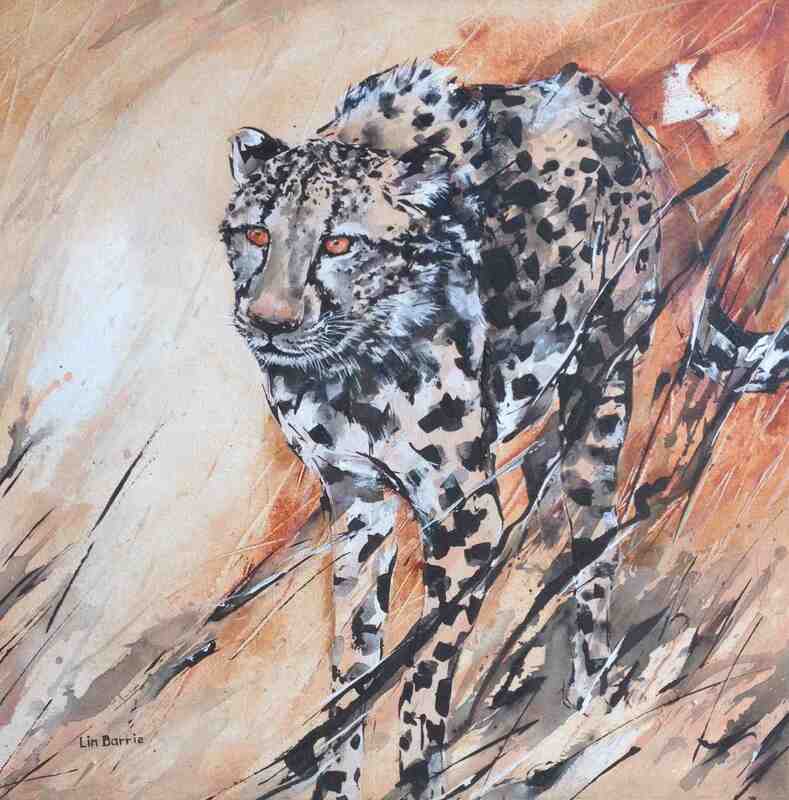 detail of the wild colour….! 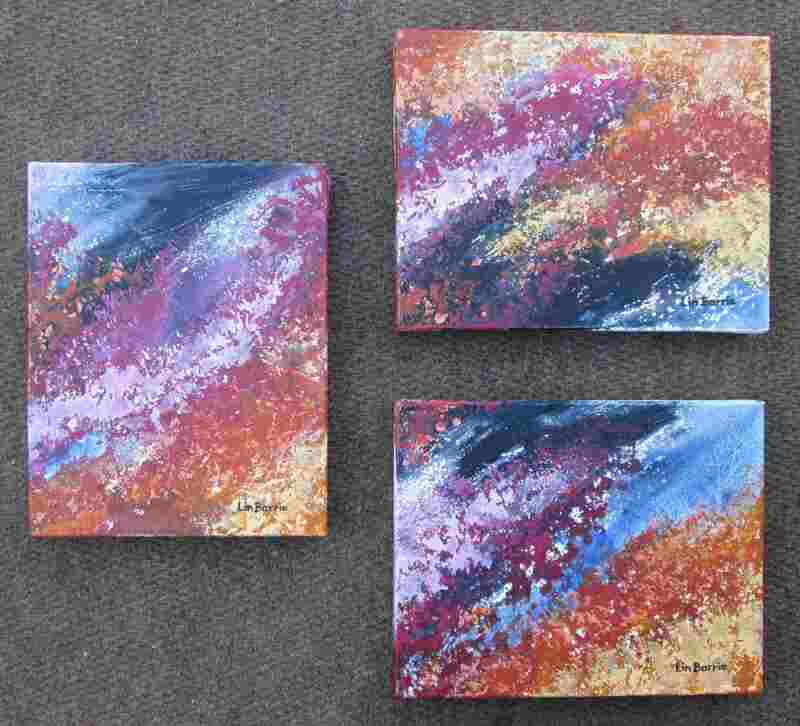 and here is the whole diptych…. and Chilojo Cliffs (diptych) in the Green season…acrylic on loose canvas, each panel about 70 x 90 cm…. 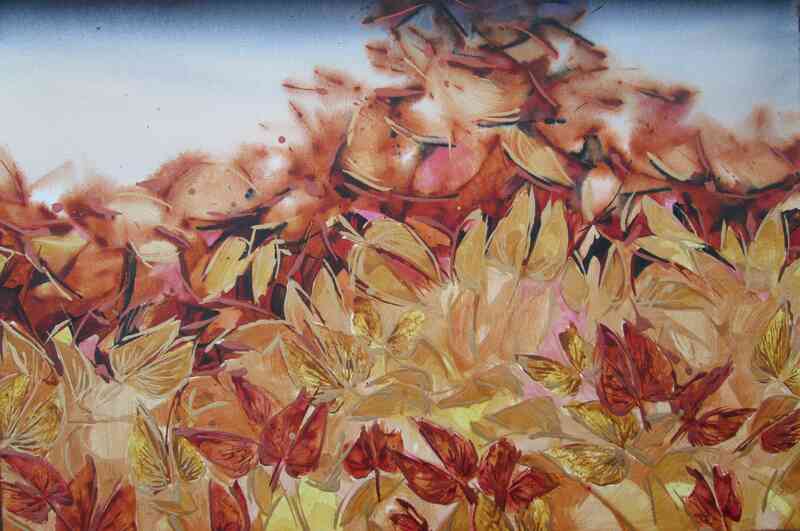 acrylic on loose canvas, 80 x 200 cm …. Pep Rally I, acrylic on loose canvas, 104 x 179 cm…. Pep Rally III, acrylic on loose canvas, 104 x 179 cm…. 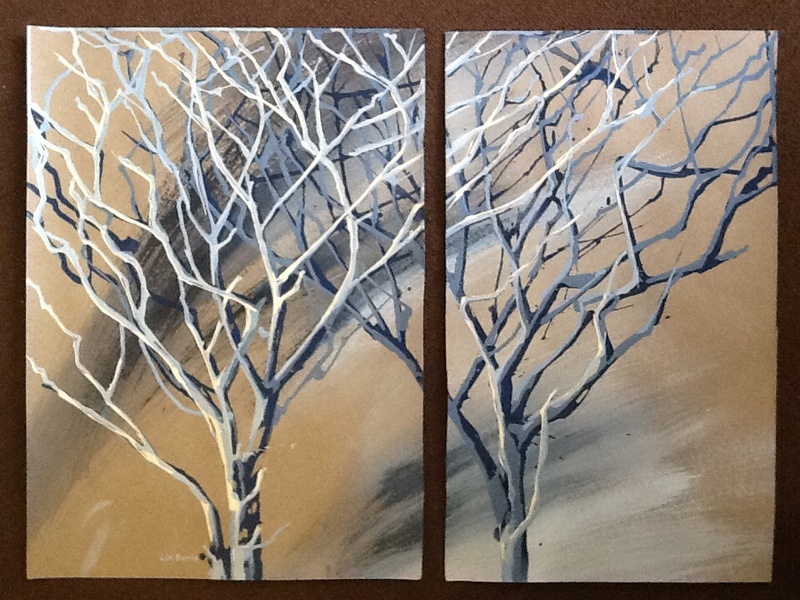 Mopani Winter Woodland, acrylic on loose canvas, 80 x 180 cm…. White Water, acrylic on canvas board, 61 x 91 cm…..
White Waterlilies, (diptych), acrylic on loose canvas, each panel 90 x 130 cm…..
“Alyssum and Petunias”, acrylic on canvas, framed, 61 x 91 cm actual painting (larger with frame) this top photo is just a detail…of the larger work below, available at Flowertique Florist, Arundel…. 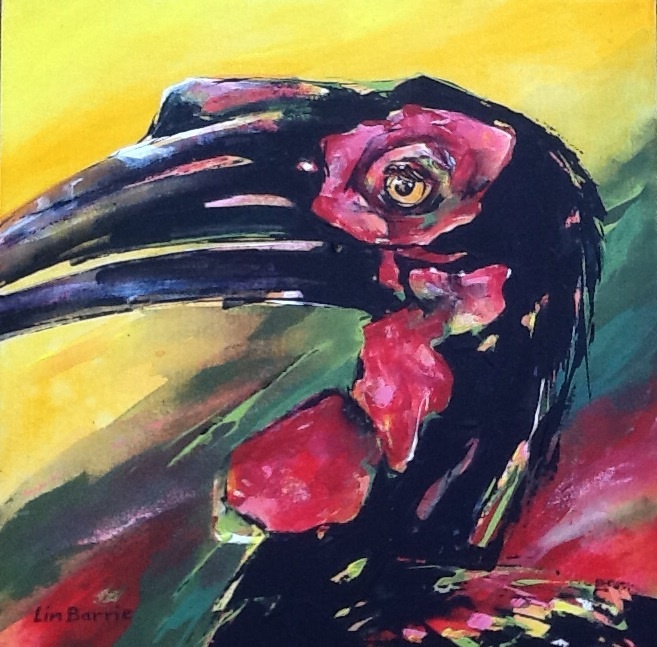 acrylic painting, 4 x 3 feet framed in hardwood…. Your art is incredibly beautiful. 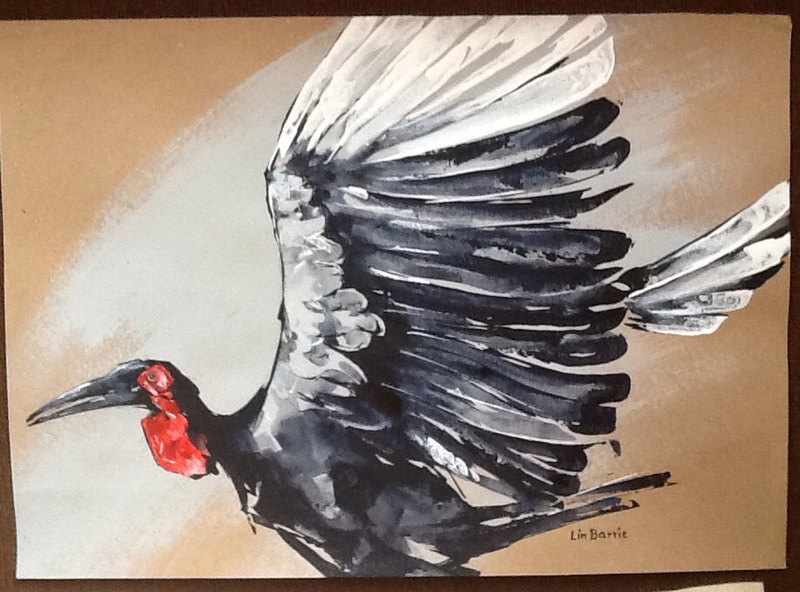 What sort of price would one be looking at for your protea / strelitzia and Zimbabwe bird paintings? 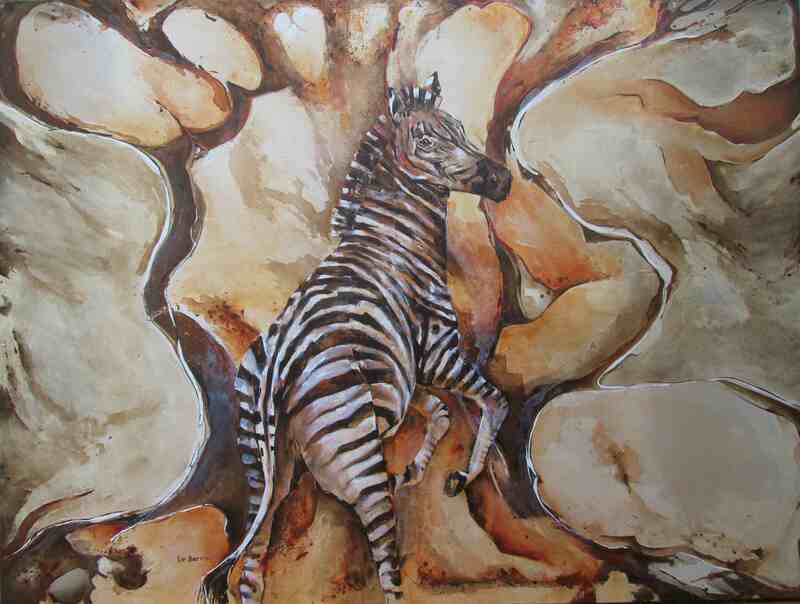 Hello Hazel, please do email me and I can respond to your queries..
Beautiful art. It all conj ours up a deep African feeling of taste , touch and smell. So alive. thank you kindly for your lovely comments! Beautiful work. I like the contrast between the background and foreground. It brings out character in your work. 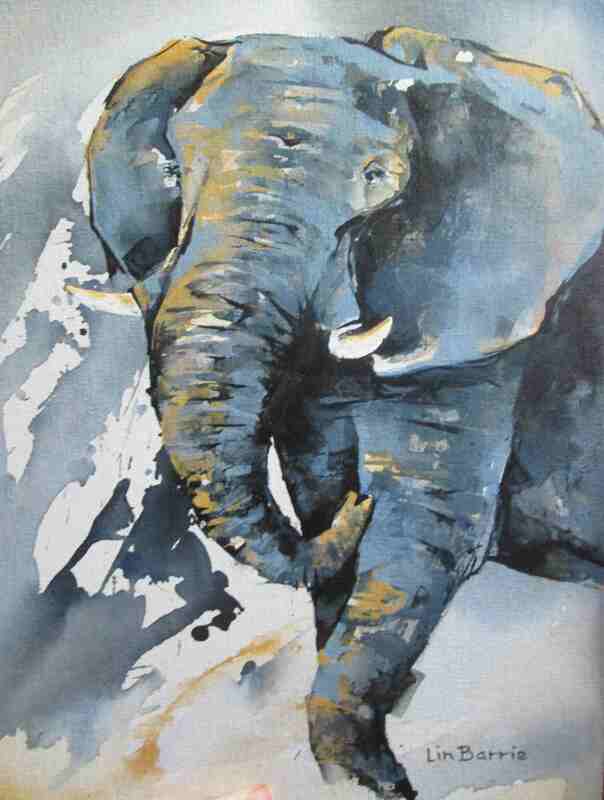 Because of the subtlety of the background the main attraction speaks with force that is not easy to ignore. 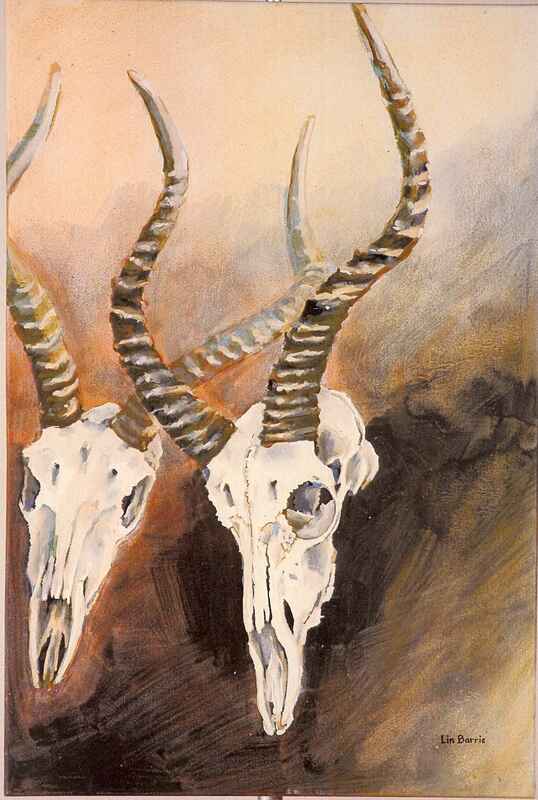 Hi your paintings are amazing and remind me so much of my early life in Zim. 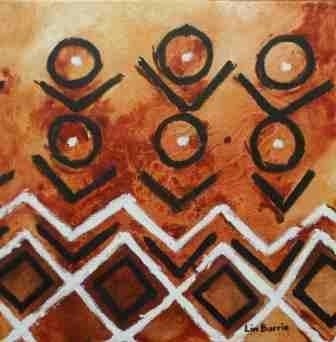 Now living in Australia but still painting. 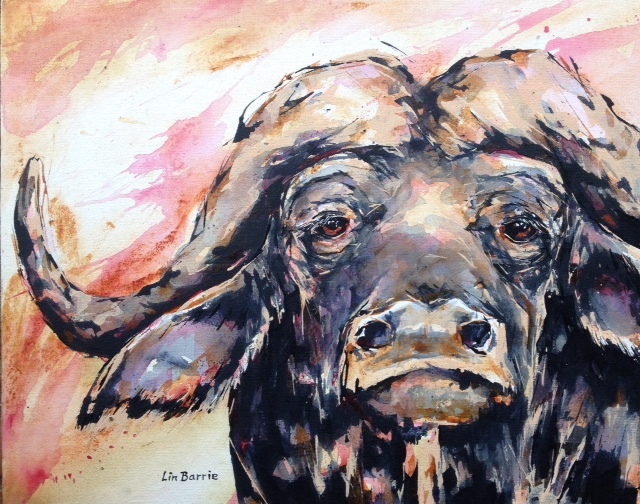 thnks for your comments Chris…keep painting! 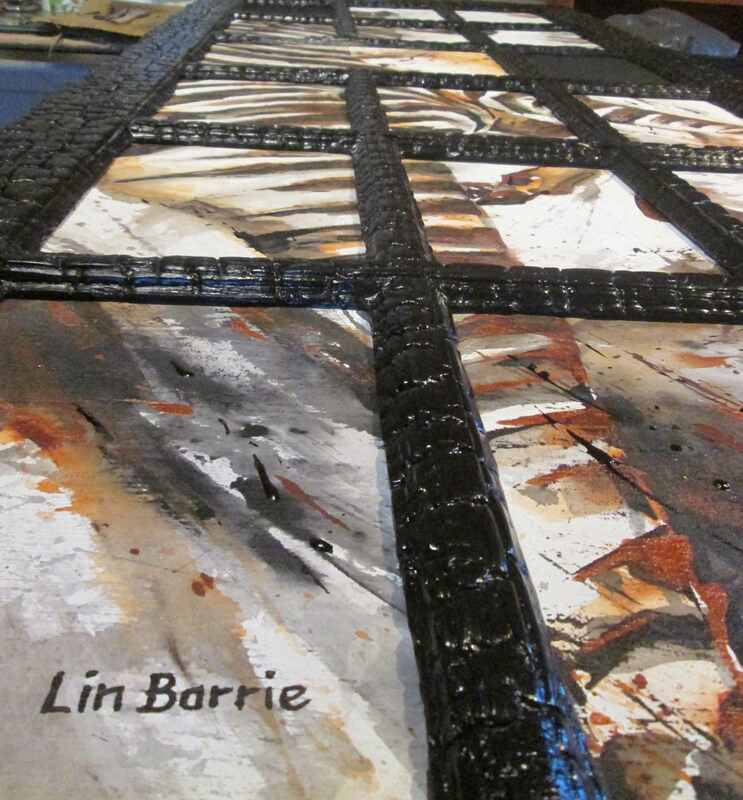 Great stuff Lin, Love to post some of your work. Thanks very much. 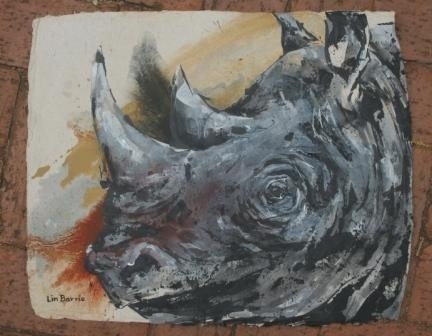 Endangered Wildlife Artwork. 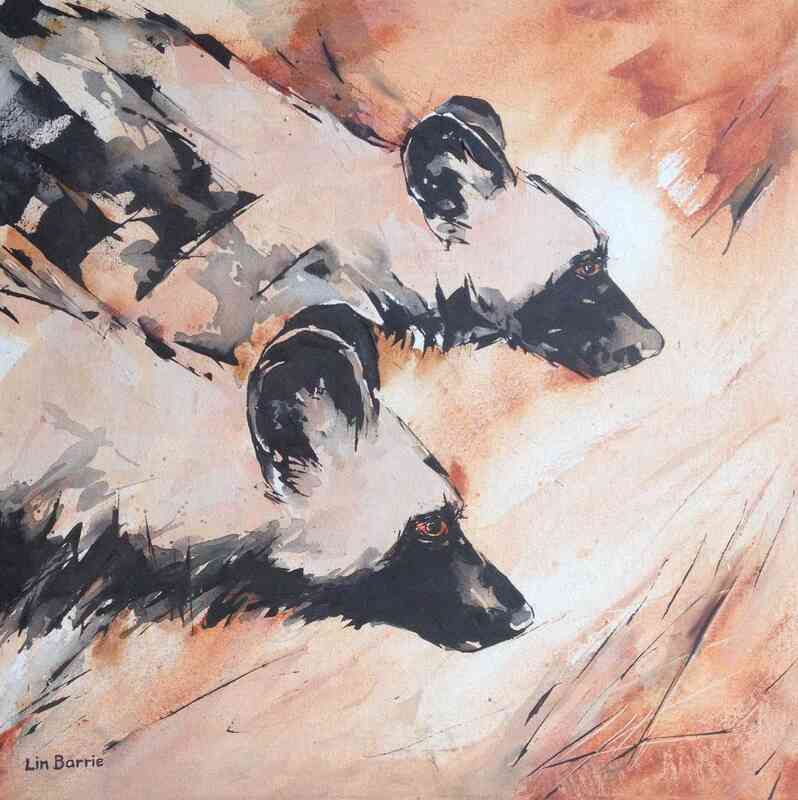 hie.I enjoyed the Chilo lodge and Gonerezhou National Parks this past holidays.I saw your paintings of the Wild Dog at Chilo Lodge and was impressed.Would want one of the same at a reasonabke price of cause.I have enjoyed your other paintings and hoping to see the face behind the works.